YouTube users may share private videos only with other YouTube account holders. Click the down arrow next to your account name (upper right). Click the Video Manager link. Select Uploads in the left sidebar. Choose the video you want to share and then click the Edit button. 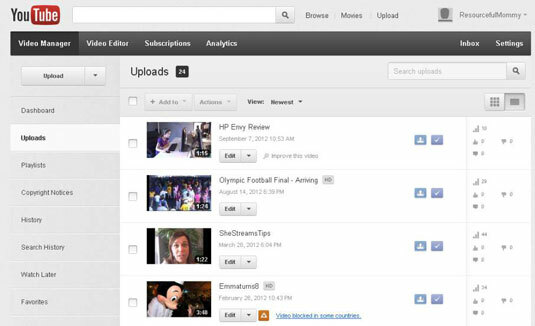 On the Basic Info tab, enter up to 50 YouTube usernames to whom you grant access to your video. Users don’t need a YouTube account to watch the video. You can share the video with more than 50 people. 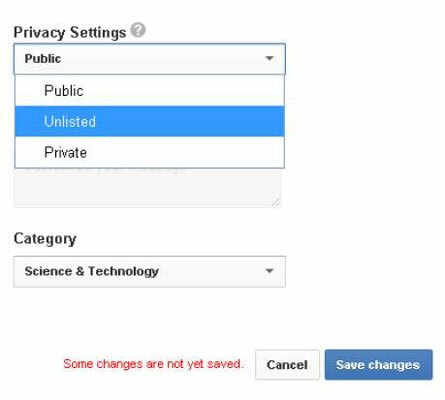 To change the privacy setting of your YouTube video to Unlisted, follow the preceding steps — but, on the Basic Info tab for your video, select the Unlisted privacy setting. In addition to selecting privacy settings for individual videos, you can also change your YouTube account’s default privacy setting for uploaded videos. Go to YouTube and sign in to your account. Under Channel Settings in the left sidebar, choose Defaults. 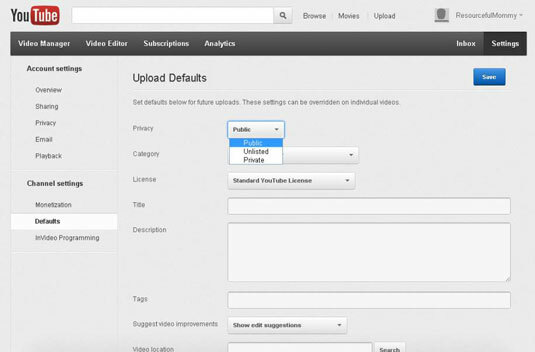 On the Upload Defaults page, you may choose to make future uploads Public, Unlisted, or Private.